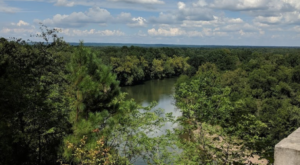 You’re probably already in love with the view from atop Mount Magazine and you may already be planning a trip to Arkansas’ only resort state park; however, there’s another park lodge you might not have visited yet. 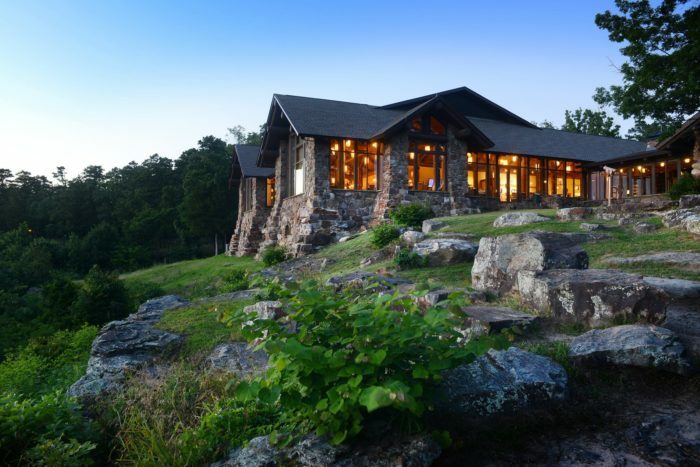 The Mather Lodge in Petit Jean State Park is a tucked away gem that definitely calls for an overnight stay. Let’s take a break from hiking to relax at this historic lodge. 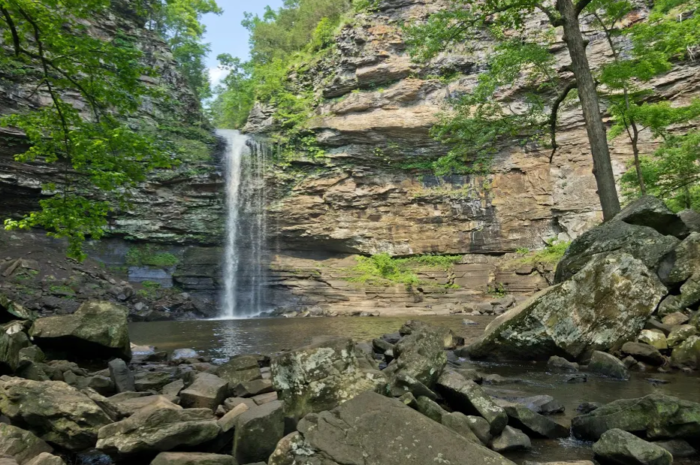 We're sure you've visited Petit Jean State Park before, after all it's one of Arkansas' most beloved parks. 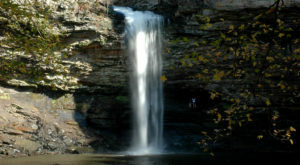 Petit Jean was also Arkansas' first state park. If you'd like to learn more about its history, you can read that full article right here. 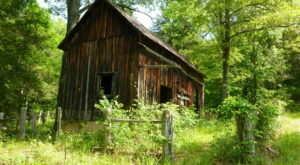 However, you may not have stayed the night at the historic Mather Lodge before. 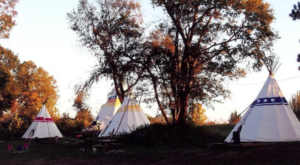 In addition to just being a lovely place to camp in for the night, it's also rather unique. Mather Lodge was the only lodge built by the CCC back in the 1930s. 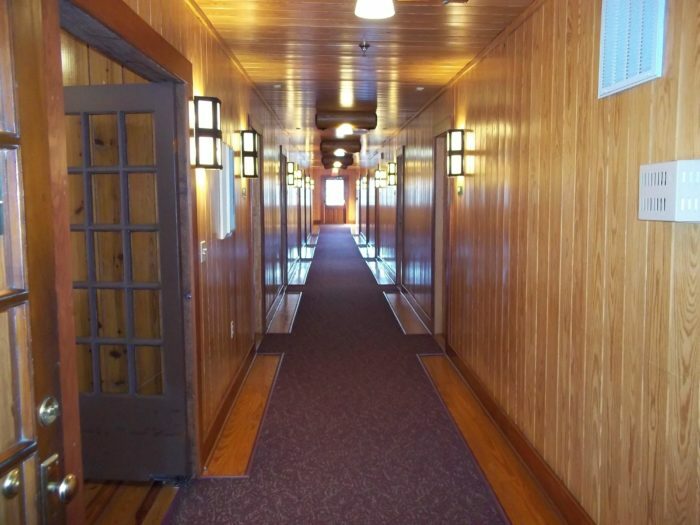 The cozy 24 rooms make for a quiet place of recharge in the forested mountains. 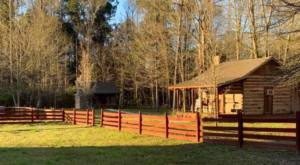 The lodge is located at 1069 Petit Jean Mountain Rd., Morrilton, AR 72110. Before you turn in for the night be sure to tuck into a filling supper from the Mather Lodge Restaurant. 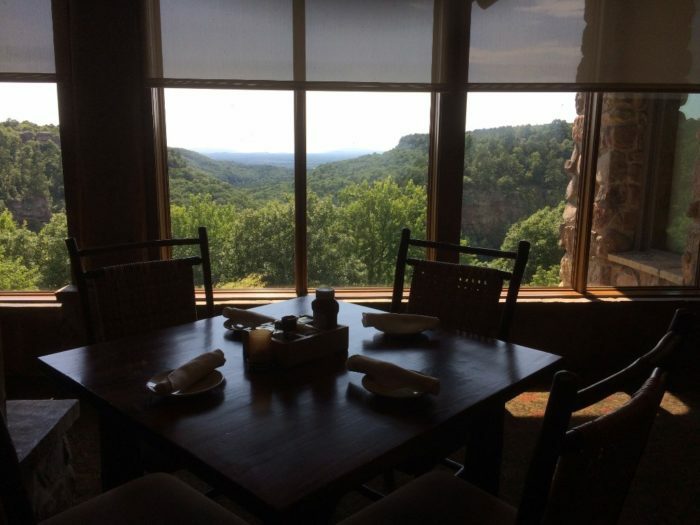 The restaurant offers scrumptious southern comforts and some of the best views in Arkansas. Pick any window seat for a stunning overlook of Cedar Creek Canyon. After a refreshing night at the lodge you'll be able to take on the day's hikes with vigor. Not to mention you'll have a head start to the park's more popular trails. There's nothing quite as lovely as a quiet trek to Cedar Creek Falls. With a place like Mather Lodge, you'll always want to extend your Petit Jean day trips. And with rates starting at $80/night it's easy to turn those day trips into weekend getaways. 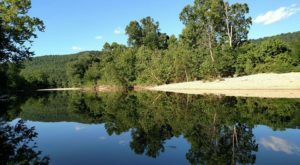 If you'd like to book a stay, visit Arkansas State Parks website. Have you stayed at the Mather Lodge? 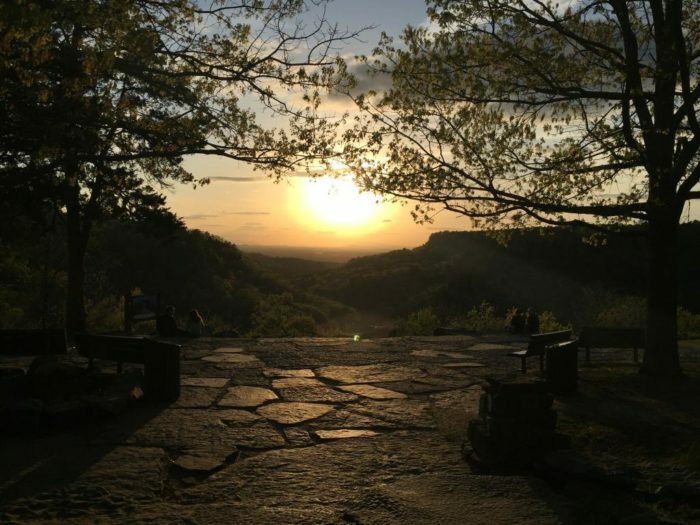 What’s your favorite way to spend the night at Petit Jean State Park? Share with us in the comments below! 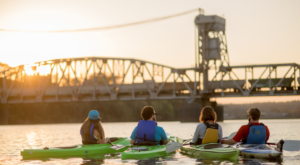 Another historic getaway you should take is at Arkansas’ first resort. 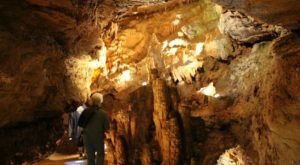 The recreation community is still a fabulous trip your family will love.